Robin Phillips, who died on July 25 at the age of seventy-three, trained at the Bristol Old Vic and spent a decade as a young actor (he played the title role in the 1969 film of David Copperfield) before turning to directing. I own a copy of a TV movie of Strindberg’s Miss Julie that he directed in 1972 with a stunningly beautiful, sexually daring Helen Mirren playing opposite Donal McCann (a decade and a half before he played Gabriel in John Huston’s The Dead). 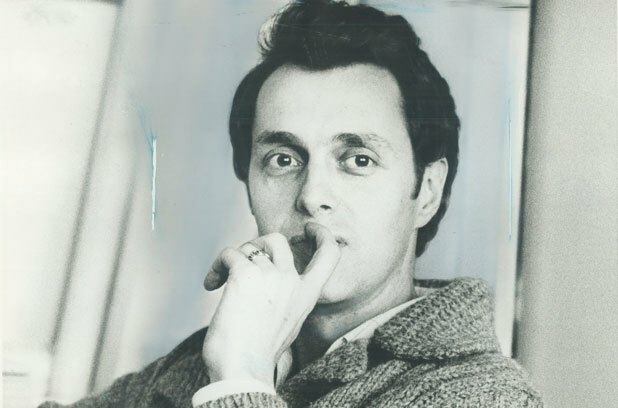 After two years at the helm of the Greenwich Theatre in England, Phillips took the post of artistic director at Canada’s Stratford Festival and held it for six seasons, 1975 through 1980. I was in my twenties then, living in Montreal, and except for 1976, when I was traveling in Europe, I made sure to visit Stratford once or twice every summer, so I saw roughly a dozen and a half of the shows Phillips directed (or co-directed). I thought at the time that he was the most brilliant stage director I’d encountered in my young, fervent theatergoing life. It was an exciting time to be at Stratford: Phillips brought Maggie Smith, Brian Bedford, Peter Ustinov, Jessica Tandy and Margaret Tyzack to act alongside such Stratford stalwarts as Martha Henry, William Hutt, Douglas Rain, Alan Scarfe, Jack Wetherall and Domini Blythe. (Bedford ended up becoming one of those stalwarts.) Phillips claimed exhaustion when he left Stratford, and no wonder: during two or three of those seasons he staged five plays. His subsequent directing career was halting, though he worked in London and New York and around Canada; nothing evidently nothing he did after 1980 matched up to his achievements at Stratford. But those were glorious years, and I count myself fortunate to have attended so many of his dazzling shows. 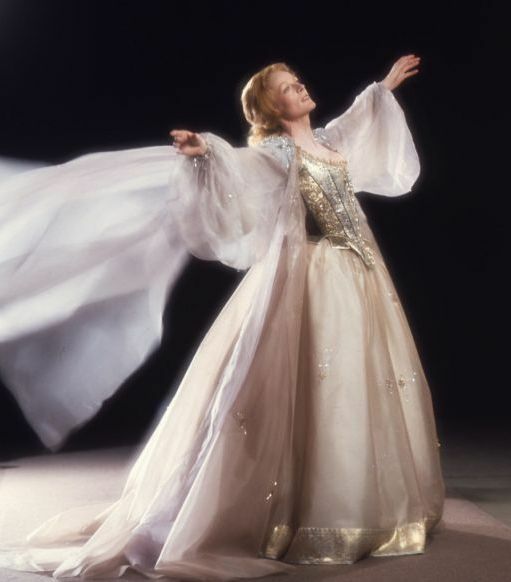 Maggie Smith as Titania in A Midsummer Night's Dream. The first two Phillips productions I saw, on tour in Montreal, were performed by the Young Company he founded in his first Stratford season: The Comedy of Errors and Two Gentlemen of Verona (both of which he co-directed by David Toguri). They were fresh and inventive – Two Gents was set among a late-twentieth-century European aristocracy, Comedy of Errors in the Wild West. (The two Dromios sported handlebar mustaches.) But the show that made me a convert was his Measure for Measure, which was still, in 1975, rarely performed, so it had the air of a rediscovered masterpiece. He set it in Victorian England, a choice that underscored the themes of sexual repression and sexual hypocrisy. Hutt discharged the part of the Duke elegantly, but the character’s motives were ambiguous, and his manipulations were discomfiting; he really seemed to be playing God. It’s a tradition in contemporary productions of the play to problematize the Duke’s proposal to Isabella at the end (sometimes the director makes it clear that she turns him down and returns to the convent to complete the process of becoming a nun), but this was the first one I know of that placed the decision solidly on her shoulders. 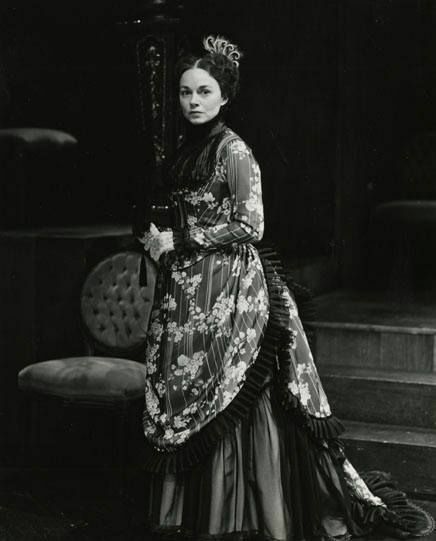 Isabella was Martha Henry, and Phillips delayed her response to the last moment, when, left alone on stage, she slowly turned toward a fading spotlight and removed her wimple. This simple act seemed to reflect the entire play’s complex treatment of sexuality, as this determined virgin abandons her resolution and opts to join the sexual world. More than four decades later, it’s still one of the most potent final images I’ve ever seen on a stage. I remember the grandeur of his Richard III (with Bedford as a malignantly charismatic Richard) and of his Midsummer Night’s Dream, where all the women on stage looked like Queen Elizabeth I. (I could never work out the meaning of the concept, but it was something to watch.) True to its fairy-tale narrative, his Winter’s Tale was transfixing: I took a group of high school theatre students to see it, and when it was over and the rest of the audience had departed, they were still glued to their seats, every one, gob-smacked, looking as if they’d been visited by fairies. His Macbeth didn’t really work, except for Smith’s neurotic Lady M., but the staging contained a couple of unforgettable theatrical moments. After the murder of Banquo, the actors in the banquet scene slipped silently onstage in the dark carrying parts of the table and the feast, so that when the lights came on both company and set were magically in place. The audience applauded happily. The staging of the scene that followed was a miracle of precise visual focus: the appearance of Banquo’s ghost was as startling to us as it was to Macbeth because the actor had stolen on while we were all looking somewhere else. It was like a magician’s feat of prestidigitation, and like a master showman Phillips pulled it off not once but twice: Macbeth’s second sighting of the ghost caught us as much off guard as the first. Maggie Smith and Brian Bedford in Much Ado About Nothing, 1980. Most of my fondest memories of Phillips productions are crowded with images of the incomparable Maggie Smith – who might have been the director’s muse – both alone and opposite Brian Bedford, who partnered her brilliantly in Much Ado About Nothing, Private Lives, The Sea Gull and The Guardsman. The best performances I saw her give without him were in Macbeth and especially Virginia, Edna O’Brien’s remarkable (and still unknown) three-hander about Virginia Woolf. Private Lives was astonishing. The pacing was brisk enough for Coward’s bons mots to leap gazelle-like across the stage, but Phillips was audacious enough to slow it down a tad – just enough for us to see the shattered lives underneath the hilarity. I’ve seen other technicians at the top of their game have their way with Private Lives (like Lindsay Duncan and Alan Rickman on Broadway) but I knew back in 1978 that no one during my lifetime would ever embody Amanda and Elyot with quite the combination of glittering comic surface and tragic depth that Smith and Bedford managed under Phillips’s guidance. They were both in the cast of his As You Like It, though as Rosalind and Jaques they didn’t exactly share the stage. The show ran for nearly three and a half hours, and it was so magnificent to look at (Robin Fraser Paye designed the Georgian costumes) and so charming and affecting that when Phillips brought it back in 1978 for a second season (by popular demand, as they used to say) I just had to see it again. Plus I wanted to see if I could work out the magic tricks, which in this case were entirely in the performances. Smith was in her mid-forties, really two decades too old to play Rosalind, and in her first scene I was acutely aware that she was attempting to use her unparalleled skills with the language to bridge the gap between her and the ingénue she was playing. But somehow, somewhere, I stopped noticing the effort she was making; her portrayal seemed to swallow the gap whole while I wasn’t looking. As for Bedford, he launched the “seven ages of man” speech, that cursed showpiece, before we’d grasped that it was starting – on the offbeat – and so conversationally that he was a good two lines into it when we caught up to him. When I saw the show again the following summer, I determined to locate the subtle seams in the actors’ performances that permitted these feats of simulated sorcery, but once more I missed them, like the kid who waits up to see Santa and discovers in the morning that sleep has foxed him again. Phillips’s As You Like It is still in my pantheon of theatrical experiences. 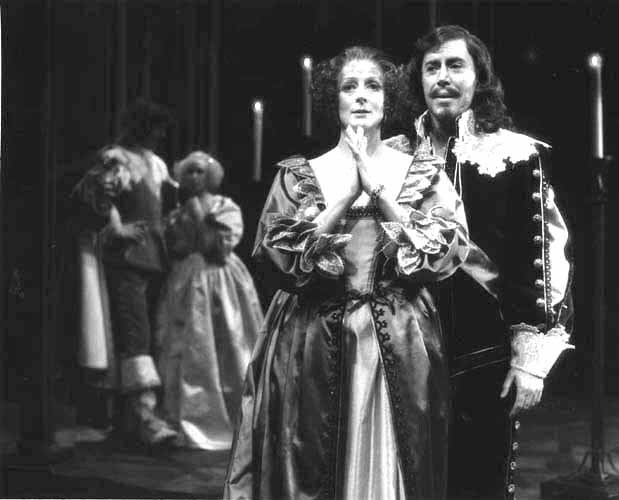 In the scene where Rosalind, in male attire, and Orlando (Wetherall) stage a pretend marriage, the two actors brought the characters so close to the reality of their shared adoration that you weren’t sure what you were seeing – whether Orlando had seen, for just a fleeting moment, through Rosalind’s disguise as Ganymede to the object of his passion, or whether the sincerity of the vows had worked some enchantment over the woodland setting and the courtship game and transformed them into the thing they were merely supposed to symbolize. Smith and Wetherall came close to a kiss and then pulled away at the last minute, as dazed as the lovers in Midsummer who, awakened by Theseus’s hunting horn, find they’ve slept in each other’s arms. Perhaps Robin Phillips only had the genius I glimpsed in this show – and in Private Lives and Measure for Measure and some others – for half a dozen years; I didn’t see the work he did later. But genius it undoubtedly was.